It has been some time since I did one of these posts. It's not that I didn't have anything to smile about but I suppose as the toddler grew Mondays, and the preparation I needed to do for my working week starting on the Tuesday, became more hectic. 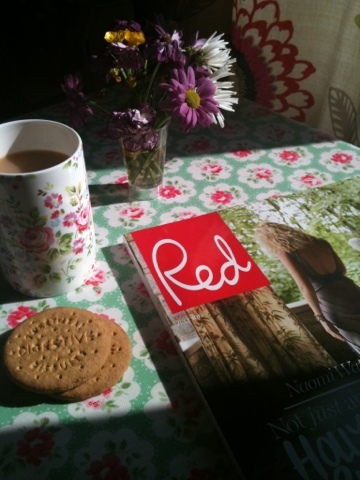 A little more peaceful now I'm on maternity leave today allowed ten minutes to enjoy a couple of digestives with a cup of tea and my brand new subscribers copy of Red magazine as the sun poured in. Heaven.